Waimanolo Country Farms on Oahu. 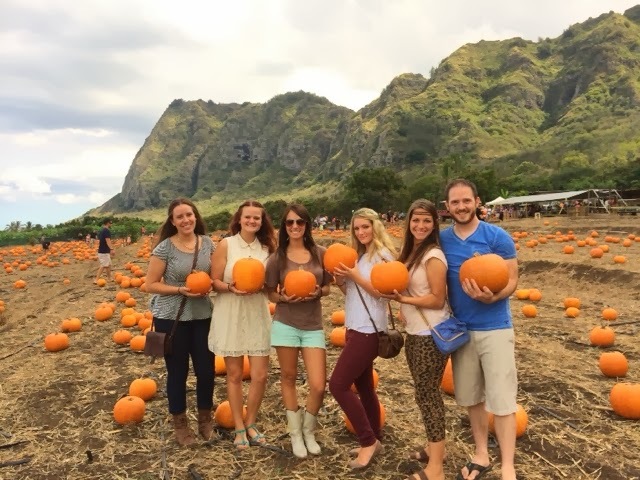 What a lovely pumpkiny day with some of my most favorite souls here on the island. Tatum LOVES this post. She keeps laughing hysterically and pointing at the pic of you two throwing your pumpkins… SO silly! Still loving your blog! Keep it up! That first picture is the greatest thing I’ve ever seen. It HAD to have ended badly though!